1. 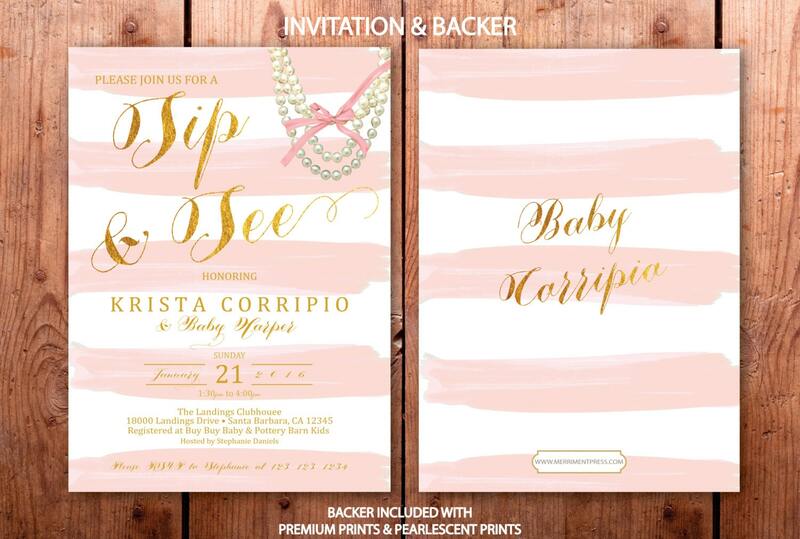 ECONOMY PRINTS: Printed on white 80# medium cardstock with a smooth matte finish. 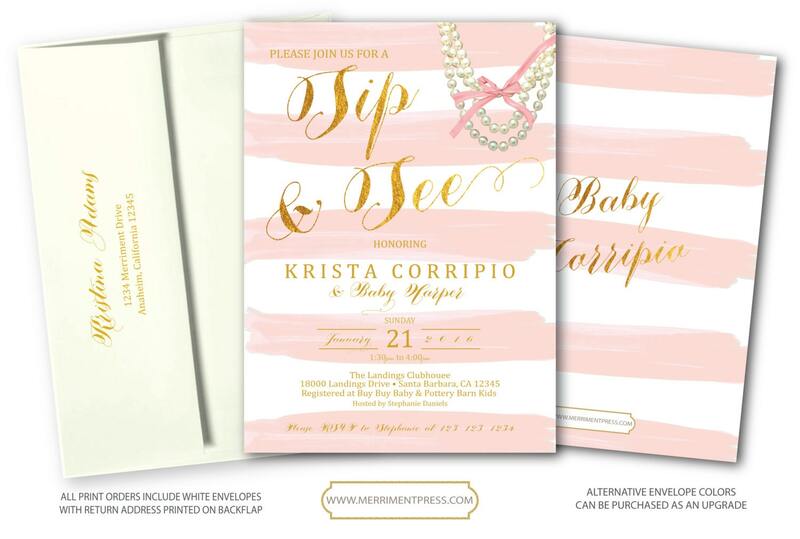 Only the front of invitation is printed but this option still includes white 70# text weight envelopes, FREE printed return address and FREE 2-3 day priority shipping. This print option provides a great alternative to printing at your local office supply, instead you get to one stop shop at a great price! 1. 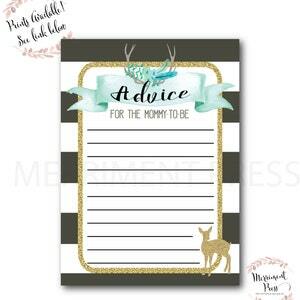 SIGNATURE PRINTS: Printed on white 110lb heavy cardstock, this stock has a smooth, matte finish usually reserved for fine stationary. 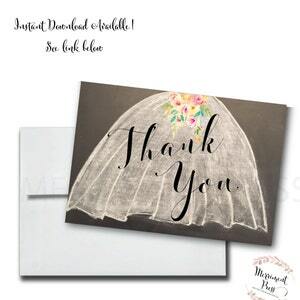 This option includes printed front, printed backer, white cotton envelopes, FREE printed return address on backflap of envelope and FREE 2-3 day priority shipping. 2. 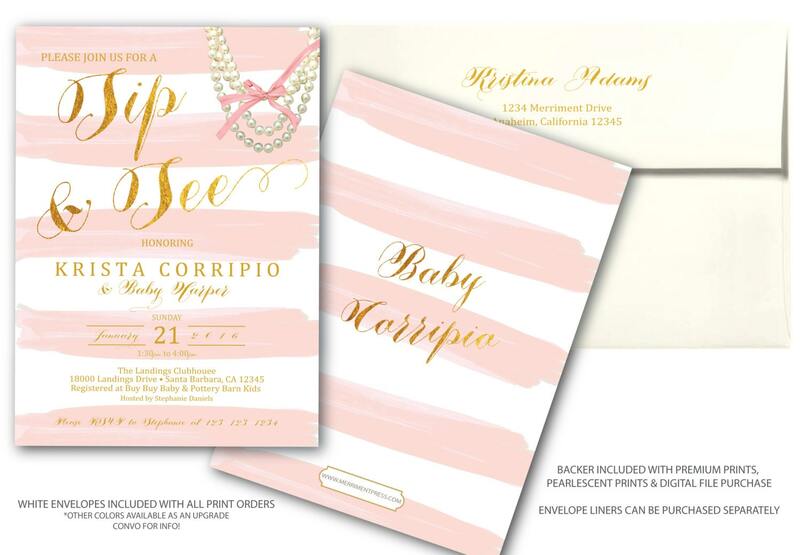 PREMIUM PRINTS: Printed on white 130lb extra heavy cardstock, this stock is a premium paper usually reserved for fine stationary with a smooth, matte finish. 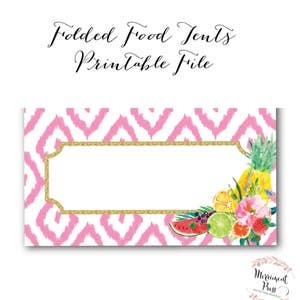 This option includes printed front, printed backer, white 80# peel and press envelopes, FREE printed return address on backflap of envelope and FREE 2-3 day priority shipping. 2. 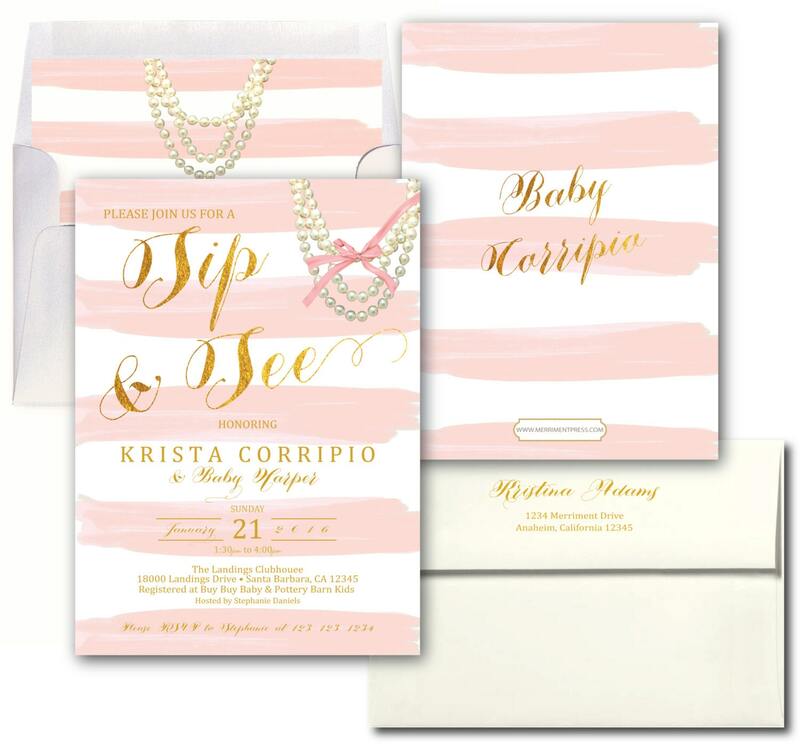 PEARLESCENT PRINTS: Printed on white 105lb heavy SHIMMER cardstock, this cardstock is creamy white with a subtle shimmer/pearlescent effect that gives a beautiful glow to your printed invitations for a very elegant presentation. 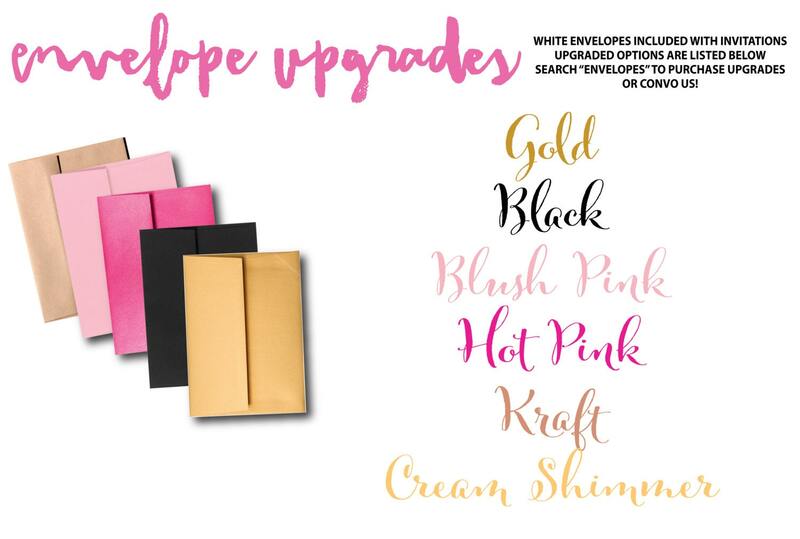 This option includes printed front, printed backer, 80lb creamy white shimmer envelopes that match the cardstock, FREE printed return address on backflap of envelope and FREE 2-3 day priority shipping.